MOSCOW, November 10. /TASS/. The Russian Defense Ministry has received the first batch of eight Mi-28UB tandem combat training helicopters, Russian Helicopters, a leader of the global helicopter industry, said on Friday. 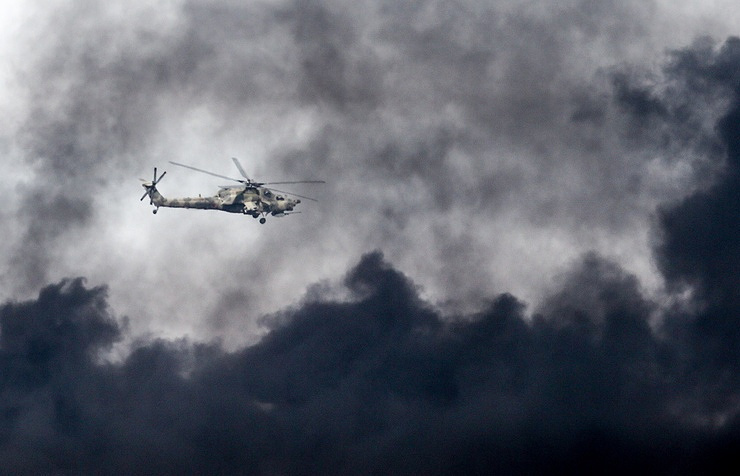 "The first batch of eight helicopters has been received by the Defense Ministry’s officials. The company will continue to supply state-of-the-art rotorcraft to the Defense Ministry’s air fleet," Russian Helicopters sales director, Vladislav Savelyev, said. Along with the main attack function the helicopter can be engaged in flight training of the personnel. 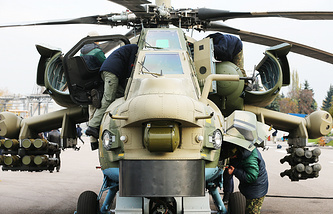 Mi-28UB is distinguished from the basic model by a dual control system which allows piloting the helicopter both from the commander’s seat and the operator’s cockpit. The Mi-28UB like its predecessor is maneuverable and can accomplish combat missions day and night. It can be engaged for fire support to advanced ground units and for antitank defense. The helicopter has enhanced armor protection, a broad set of armaments and is distinguished by a high survivability.